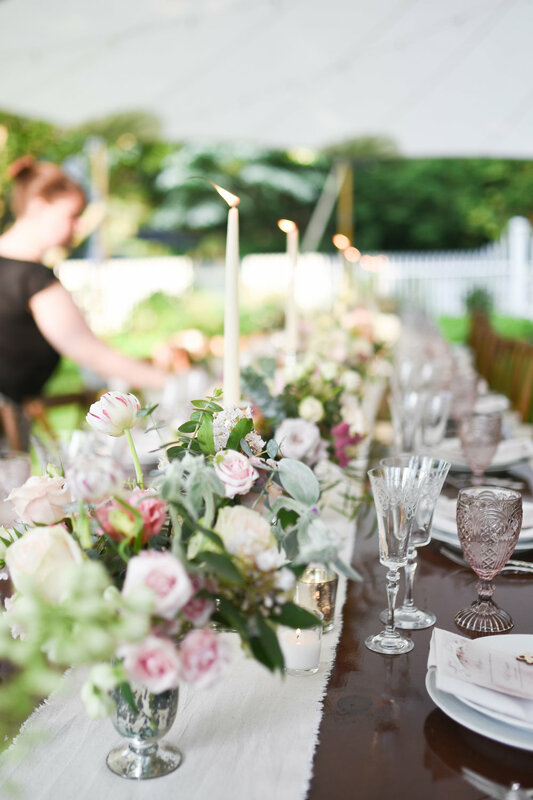 Eden and Jacks New Canaan CT wedding was the quintessential garden wedding. Held under a fantastic sail tent, with long dark wood tables lining the reception space. We created a beautiful mix of centerpieces made of blush toned spring flowers in mercury glass vases. The were accented with a variety of candles and placed on rough-edged linen runners. All together it was a romantic and dreamy sight. Congratulations to the happy couple and their families!